(CNS): With thirteen weeks to go before the national poll this May, the Elections Office is keeping ahead of the game and is urging voters who want to be treated as a postal or mobile elector to begin submitting their applications now. The office reminded students who will be overseas on Election Day, which is 22 May, to apply early so they will receive their postal vote immediatly following Nomination Day, 27 March, when the first postal ballots will be issued once the list of candidates for all the districts is revealed. Voters unable to go in person to the polling station are also being advised to begin the application process as soon as possible. The last date for applications to be received from electors seeking to vote by post or mobile polling will be two weeks ahead of Election Day on 9 May. With more than 18,000 voters and an anticipated long list of potential candidates in the larger districts, the Elections Office is gearing up for a busy election day. In order to keep the voting moving and lines down to a minimum to ensure the polls close on time facilitating the start of the count, the office will be hoping to have all elements of the election run smoothly and efficiently. Anyone who is likely to be in a hospital, rest home or other similar institution or because they are geriatrics at home can be treated as a mobile voter. Also voters who will not be able to go in person to the polling station because of the general nature of their occupation, service or employment may also apply to be treated as mobile voters. The Elections Office is particularly encouraging elderly and other physically challenged electors to take advantage of this opportunity. The Elections Office website has "Form B" on it but doesn't state how to send the completed form to them. They need to say if a scanned, emailed copy of the completed form is acceptable and where to send it to. Most students overseas would register online for a postal ballot if it was possible but it doesn't seem to be. 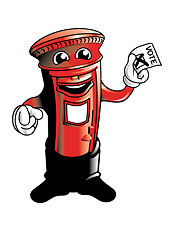 If you want your vote to count, do not, under any circumstances, rely on the Cayman Islands Postal Service. Exactly. Given the appalling speed and reliability of Cayman's postal service, I would not want to risk my vote being lost or delayed in the post. A very unreliable method of voting in Cayman. and where is this office? and details to apply for postal ballot? I was partying and forgot to register to vote. Can I vote by postal ballot instead then?